The Bubonic Plague, also known as the Black Plague or the Black Death because it caused black spots to appear on the skin, killed more than 25 million people throughout Europe between 1347 and 1352, nearly a third of Europe’s total population in just five years. The disease was able to rage unchecked in part because so many cats had been murdered in the years prior to its introduction. “…its head is to be held downwards on a clean level floor, and its tail is to be held upwards; and after that, wheat is to be poured about it until the tip of its tail be hidden, [and that is its worth]. Another cat is four legal pence in value” (The Laws of Hywel Dda). This changed with the adoption of English law several centuries later. Certain religious leaders had been casting aspersions on cats for quite some time before the Black Plague hit. Pope Gregory IX told people that domestic cats were diabolical in 1232, fueling anti-cat sentiment, and this prejudice worsened over the years. Cats were not subservient and tended to be noisy at night, which caused them to be viewed with suspicion. Many superstitious people began to associate them with the devil. Large numbers of cats and their owners were executed after being accused of witchcraft in the years leading up to the Black Plague, and for hundreds of years thereafter. Totals vary widely from one historian to the next for both “witches” and cats killed. However, it is safe to say that a large proportion of Europe’s domestic cats were slain, either on suspicion of being Satan’s familiars or as part of the mass animal killings that people undertook in a desperate attempt to control the Plague later on. Dogs were also slain in these mass killings, which removed another of the rat’s natural predators. Most of those murdered on suspicion of witchcraft were poor peasant women who kept pets for companionship, and thus were easy scapegoats. The impoverished, the elderly, and the eccentric were convenient targets for witchcraft accusations, and they were executed along with their pets. Overall, from 1230 to 1700, starting with the Inquisition, millions of cats were murdered. Persecution had depleted the supply of domestic cats dramatically, leaving human grain stores unprotected when merchants brought the Plague from Asia to Europe in the form of ship rats with infectious fleas. Rats took over Europe, gobbling the grain and providing homes for the fleas that carried the Black Plague. Without the protection of domestic cats, the rat population multiplied exponentially. As a result, the Black Death spread rapidly, decimating Europe’s population. Additionally, many people suffered food poisoning due to rat droppings in their food supplies. Overall, people paid dearly for the slaughter of cats. Those who kept cats as pets would have had a better chance of surviving the Black Death, as the rat populations around their homes would have been kept under control. However, despite the role that cats played in helping to prevent the Black Death, people in Europe continued to murder cats for another 300 years. 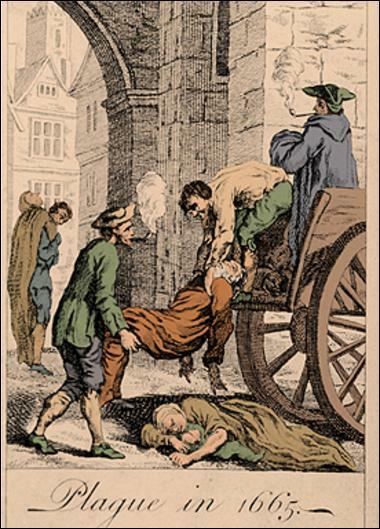 Thus, Europeans were particularly vulnerable when the Plague swept through again in the 1600s. Although the persecution of cats was not the only cause of the Black Plague’s rapid spread, it certainly contributed. Historical events such as these underscore the importance of all animals within a given ecosystem, and the dangers inherent in removing a single predator from the equation. Kennedy, A.L. (2 January 2002). “Feline geneticist traces origin of the cat.” PEN Lecture, Edinburgh Book Festival 2001. USAToday.com. Kannard, B. (15 August 2007). “The Templar’s Plague.” Unexplained-Mysteries.com. Rossetti, B. “The Bubonic Plague: Origins and Impacts.” Helium.com. PBS.org. (2002). “Mystery of the Black Death.” Secrets of the Dead series.